We publish books on bikes & biking, selected other sports, and manufactured housing. Our books are available through the book trade, Internet book outlets, and directly from us at this web site. Our specialty is bicycle books, ranging from repair manuals to illustrated bicycle history books. 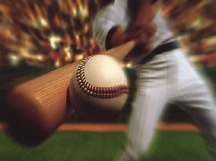 Other books deal with other sports, including baseball, golf, and fitness exercise. Beyond that, we also have several books on the subject of manufactured homes. Sorry, but as of March 2014 we no longer operate a shopping cart on this website. We now merely have a link to the page for the book on Amazon. Of course, we'd rather sell you the book ourselves, since Amazon takes a huge cut, so if you want to get the book from us, send us a note with a check for just the price of the book (we will not charge you for shipping, and we will absorb any California sales tax due). Send to: Cycle Publishing LLC, 1282 7th Ave, San Francisco, CA 94122. New 5th edition of the classic book by Frank Berto that covers not just the technical details of the rich history of gear-shifting, but in effect the history of the bicycle in the 20th and 21st centuries. Now available in large-format paperback with updated information right up to 2016, this book has 400 pages with some 2,000 illustrations. A spectacular collection of high-quality reproductions of the bicycler illustrations by the master of technical illustrating, Daniel Rebour, whose work appeared in numerous French cycling periodicals, books, and catalogues. Compiled by Rob van der Plas from Frank Berto's collection of Rebour's illustrations, with captions describing each illustration in some detail. 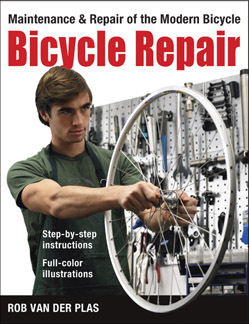 New 3rd Edition, much expanded and updated, this is perhaps the only bicycle repair book most cyclists will need to keep their bike in top form. Includes advise on all the newest components for any kind of bicycle, from road bike to mountain bike and from single-speed to E-bike (electric-assist bike). Clearly illustrated with more than 180 color photos and other graphics. 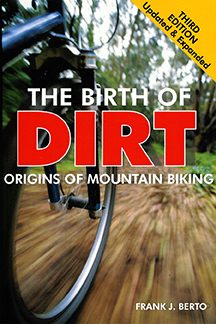 The Birth of Dirt, NEW 3rd Edition, revised and updated. Frank Berto's enduring effort to trace the true history of the "invention" of the mountain bike in Marin County is again brought fully up to date with the latest news on the origins of the bike and the sport. Bicycle Touring Holland, NEW 2nd Edition, revised and updated. Brought fully up to date by riding every route in the book and marking any changes since publication of the first edition. Commemorating a 125-year pedigree of making bicycles, this book is a fully illustrated, thorough history of what is probably the world's best-known bicycle brand. Recounting the company's ups and downs, it's pioneering engineering and its missed opportunities, its ventures into cars and motorcycles, and its wartime ammunitions production, as well as its bicycle production. 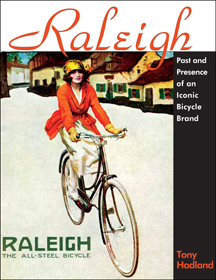 Also included is a chapter devoted to Raleigh's erstwhile subsidiary Sturmey-Archer's hub gears and hub brakes. Visit Tony Hadland’s website www.users.globalnet.co.uk/~hadland/ for more information on this project. 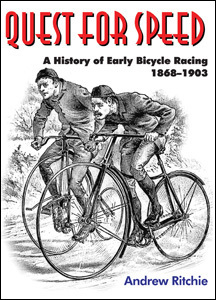 We now also distribute Andrew Ritchie's self-published Quest for Speed: A History of Early Bicycle Racing. 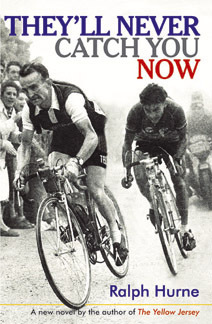 As today's bicycle racing is in the news and the shadow of doping hangs over some of its presumed heroes, this book takes a look at the same issue as it surfaced more than a century ago. Trainer Choppy Warburton had a little black bottle that was believed to have the powers of restoring or breaking the riders under his charge. 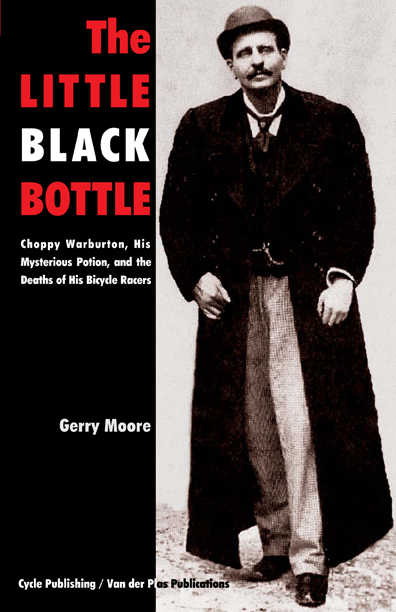 In this book Gerry Moore reveals what is really know about the man, his little black bottle, and his riders. 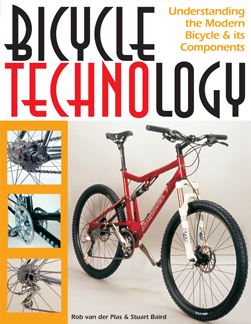 (NEW 2nd Edition, revised, updated, and expanded) presents all the technical ins and outs of the bicycle and its components, explained in clear language, with 800 quality illustrations. The book is coauthored by Rob van der Plas and Stuart Baird. 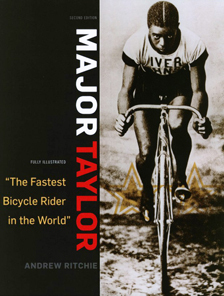 The updated, expanded, and fully illustrated new edition of Andrew Ritchie's biography of Major Taylor, the first black American sportsman to achieve world fame at what was at the time the most popular spectator sport: bicycle track racing. Now in hardcover format, and fully illustrated with over 100 duotone photographs. Newly updated and expanded edition, illustrated with 150 duotone photographs. There is more to the Tour de France than meets the eye, and Les Woodland tells all about it. Now in a large hardcover format, printed on art paper to do justice to all the fascinating photographs. Newly expanded and updated edition. 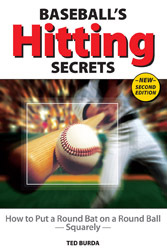 This edition is also recommended for girls' fast pitch softball as much as it is for baseball. Updated and expanded new edition, with many new illustrations and additional technical and historic information. Includes new contributions by Jan Heine, in addition to those by Ron Shepherd, Raymond Henry, Walter Ulreich, Tony Hadland, and Gordon Selby. Updated and expanded edition, with many new illustrations. This is the full scoop on the origins of mountain biking. Updated and expanded edition of this manufactured housing classic. Now with additional information on upgrading the manufactured home. This comprehensive, superbly illustrated large-format repair manual is the ultimate source of systematic maintenance and repair instructions. It's fully up-to-date and covers all types of bicycles—road, mountain, touring, city, you name it. It's also the only repair manual on the market to day that will help you with older bikes as well as with the latest. A novel set in the world of professional bicycle racing. It's the latest book by Ralph Hurne, whose earlier bicycle racing novel The Yellow Jersey was a runaway success when it first appeared. Rob van der Plas' Mountain Bike Maintenance (see cover image top left) is the most up-to-date mountain bike maintenance book on the market today. Check it out. It is printed in full color on high-quality coated paper. 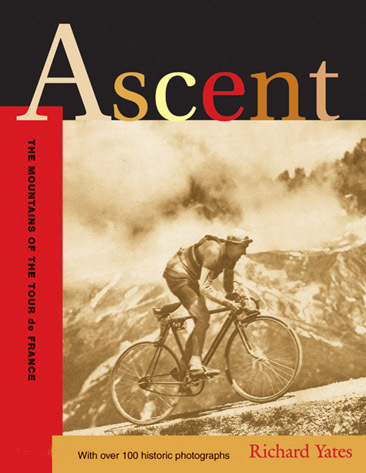 Another recent book, published October 2006, is Ascent: The mountains of the Tour de France, a beautifully produced large-format hardcover book with many great historic photos reproduced in duotone. 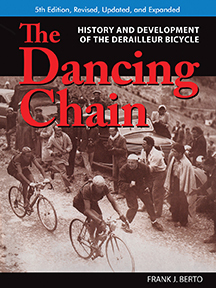 We also recently released the latest in our series of Proceedings of the International Cycling History Conference (No. 18). 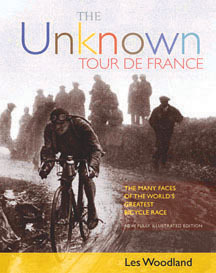 The Unknown Tour de France was awarded the first place prize in the category "Image-Driven Books" by Bookbuilders West, the Western States book design and publishing association, at its annual book show, January 2010. Visit https://www.bookbuilders.org to read more about the book show and the awards. 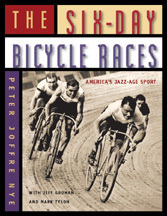 The Six-Day Bicycle Races (see cover image second from top right) was awarded top honors in the USA Book News Best Books 2006 contest in the category "Sports, General." We're as proud of the award as we are of the book itself. It's a beautiful book; check it out.